Home / News / Jeremy Lievin and Milo Gordon win Most Improved Player awards! 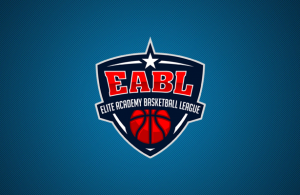 As a developmental league for some of the best and brightest players in the country, the EABL is always focussed on helping young stars to improve and reach their potential. Today we look at two players in particular that have looked to take their game to the next level with the EABL’s Most Improved Player of the Year award. 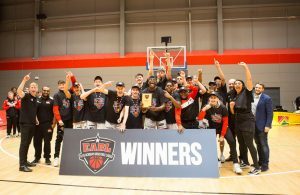 As newcomers to the EABL, Newcastle Eagles Academy have done well to pick up four wins and finish 6th in the North standings. One of the key reasons for that is the continued improvement of forward Jeremy Lievin. The young big man is a deserving recipient of this year’s MIP award after putting up some strong numbers in his first year at this level. At 9.9ppg, 10.0rpg, 1.4 steals per game and 1.3 blocks per game, Lievin has been a key cog for Newcastle and has taken some big steps forward over the last few months. In the South, there was a runaway winner as Canterbury’s Milo Gordon got the nod from numerous coaches to be picked as the conference’s Most Improved Player. Taking a big leap forward during the current campaign, Gordon has featured in all 14 games for his side this year and made a big impact. Averaging 17.1ppg, 8.9rpg, 3.6apg, 2.4 steals per game and 1.3 blocks per game, it’s been a stat filling season for the versatile youngster, making him a clear selection across the league. 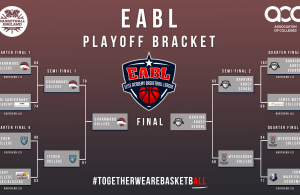 As we move towards the end of the EABL Awards Week, we’ll announce the league’s All-1st and All-2nd teams tomorrow as we’re now less than a week away from the Playoff Final on Wednesday 3 April! ← Previous Story Richardson and Price win EABL Defensive Player of the Year! 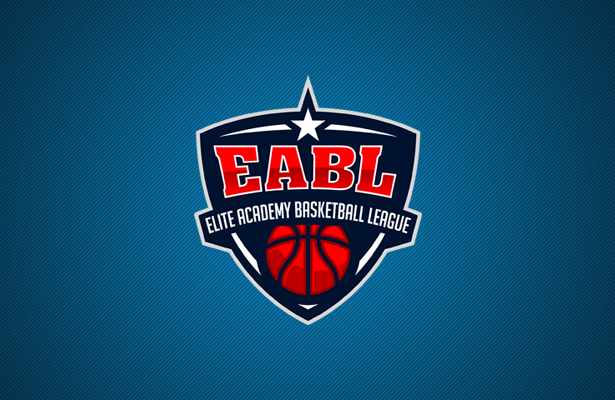 Next Story → EABL All-1st and All-2nd teams announced!